Dramatic disruptions to Earth observation are being delivered by ambitious startups that are launching large fleets of small, interconnected satellites and developing cutting-edge analytics. The number of earth-gazing satellites has nearly doubled in 2014 alone. With views into daily global activity being refreshed at a faster rate than ever before, selling raw pixels and signals is not enough to satisfy industry demands. It is these startups that are changing how we use Big Data in business here on earth. Responding to ever-expanding industry demands by delivering “near real-time” data and developing cutting-edge analytics at a lower cost, these startups are providing actionable insights for many industries. Finance, insurance, agriculture, forestry, fishing, mapping, manufacturing, shipping, mining, sustainable industries, and energy enterprises are using eyes and ears in the sky to make better decisions and improve operational efficiency with actionable data sent ultimately from space. 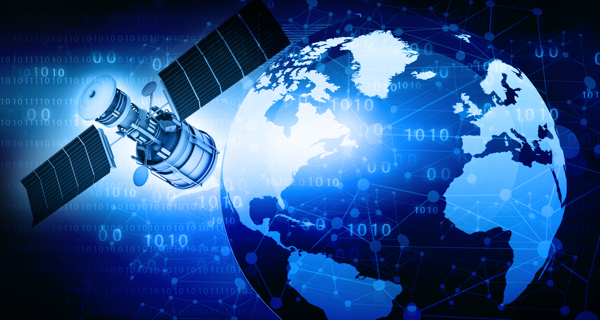 As funding moves rapidly from government to commercial, the global market for satellite-sourced intelligence is predicted to grow by over $5 billion by 2019. Venture capital firms such as DFJ Venture and Khosla Ventures are investing in innovative startups, with successful exits like the recent acquisitions of satellite operator Skybox Imaging by Google for $500 million and climatology Big Data analytics venture The Climate Corporation by Monsanto for nearly $1 billion. Why are industry giants eager to consume data from the sky? Which markets will be transformed using Big Data from Space? Join us on Wednesday October 22, 2014 to find out.